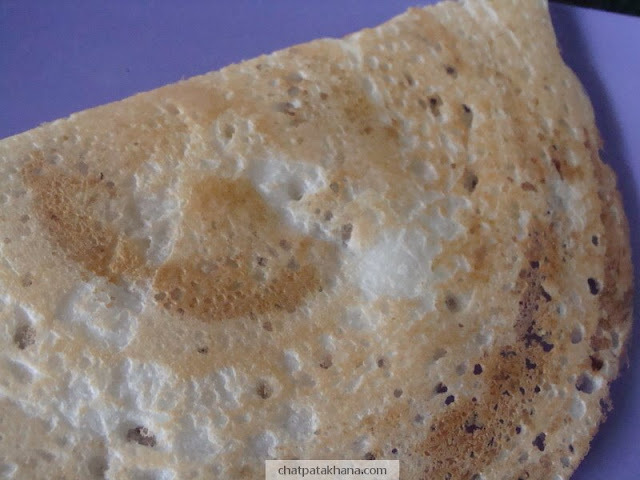 Put a few drops of oil and pour 1 cup dosa batter. 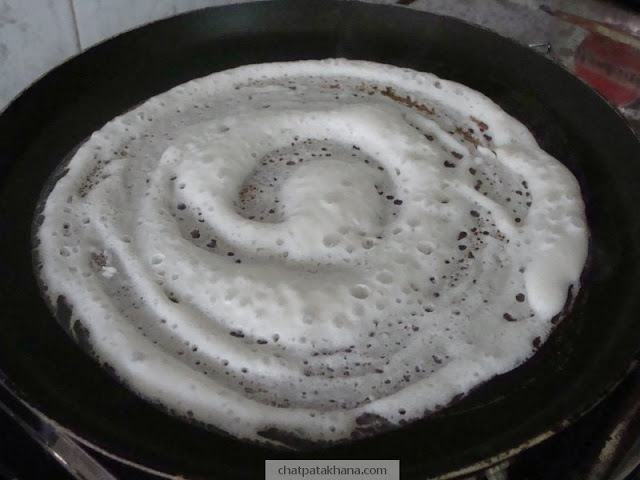 Spread the batter evenly in a round shape. Cover it completely with a lid as shown below. 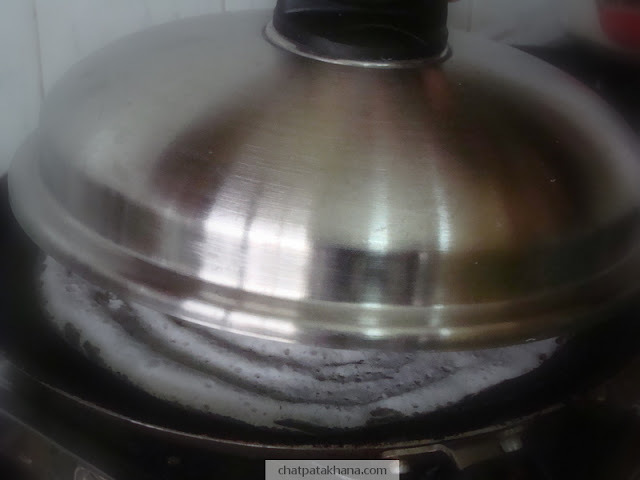 Dosa will get cooked with the steam. 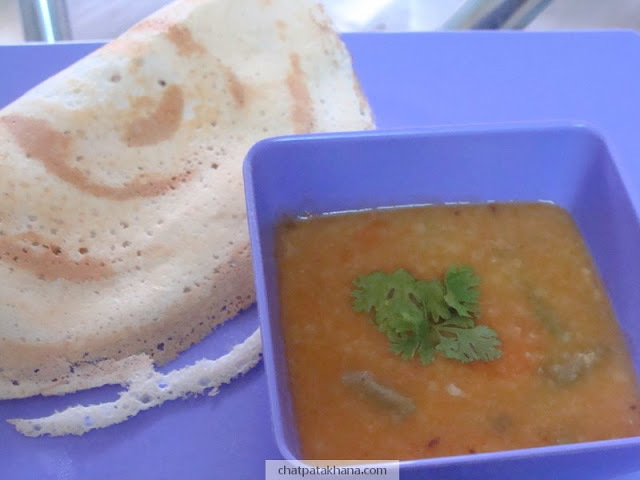 Serve with chutney and sambar. It is a healthy and light snack.